You'll be £5.20 closer to your next £10.00 credit when you purchase I Was Hitler's Chauffeur. What's this? Erich Kempka served as Hitler's personal driver from 1934 until the Führer's suicide in 1945. His candid memoirs provide a unique account that reaches a climax in the dark days in the bunker beneath Berlin's shattered streets. Kempka begins by describing his duties as a member of Hitler's staff in the early years, escorting Hitler around Europe, and other top Nazis such as Albert Speer and Field Marshal Kesselring on tours of the front line. The core of his memoir, however, covers the period spent in the Führerbunker, including accompanying Hitler on his final trip to the front line in March 1945 and the chaotic weeks that followed. 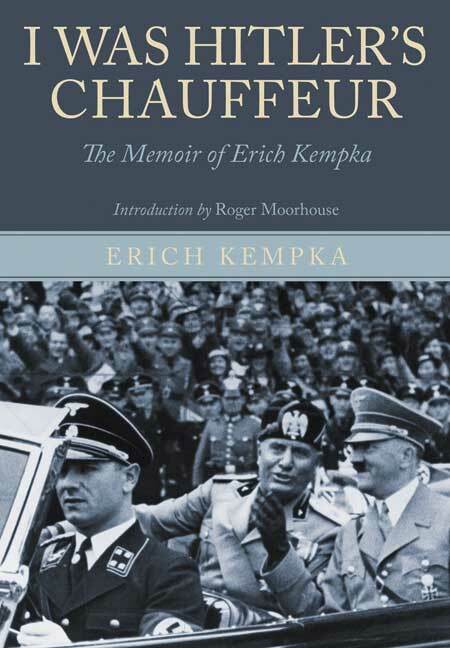 Kempka's fascinating narrative covers the major events in the regime's downfall, including Göring and Himmler's efforts to seize power and negotiate a truce with the Allies and Hitler's marriage to Eva Braun before they committed suicide. Hitler's last order to Kempka was that he has ready enough petrol to cremate their bodies. The memoirs conclude with Kempka's desperate escape from Berlin more than 800 km through enemy-occupied Germany to his family, only to be arrested by American personnel shortly afterwards. He was interrogated before acting as a witness at Nuremburg. It is an utterly absorbing memoir which does not dwell at all on matters of Nazi ideology, instead it paints a rare portrait of the last hours of the Third Reich.